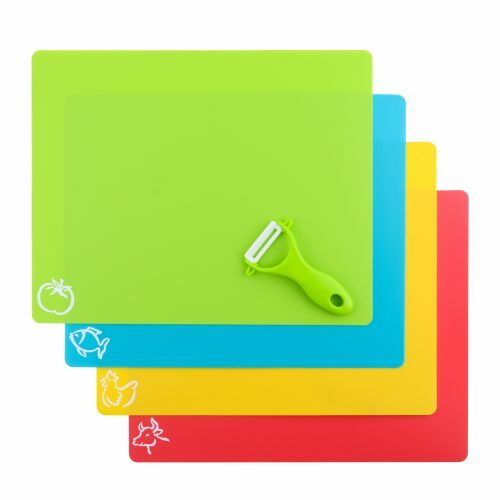 Chop Your Fruit, Vegetables, Bread And Meat Effortlessly And Assure Maximum Hygiene Thanks To The Ultimate Cutting Board Mats! If you are a kitchen enthusiast you know that cutting, chopping and dicing food in order to add a variety of different flavors in a dish is the key to making a delicious meal! Unfortunately, our kitchen counters are not properly sanitized at all times. Moreover, knife blades can easily scratch and damage our tables! If you have been looking for a safe, effective way to assure unmatched hygiene and incomparable comfort while cutting your food, your quest stops here! Enjoy Fresh, Richly Flavored Coffee Thanks To The Best Manual Coffee Grinder Which Is Now Available On Amazon! Lots of people consider drinking a cup of tasteful coffee the best way to start the day or take a break and relax! How would you like being able to effortlessly and precisely grind your freshly roasted coffee beans in order to enjoy the most delicious cup at the comfort of your own home? 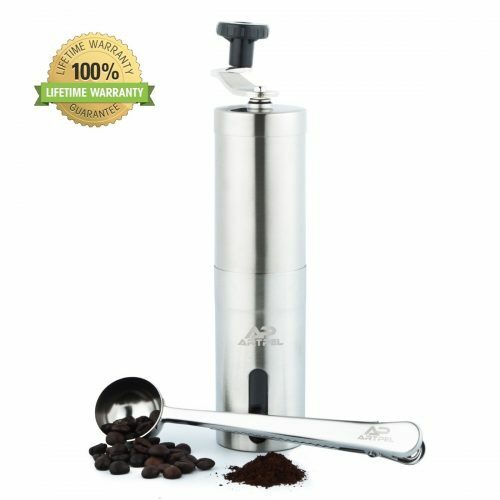 If you are a coffee lover who seeks for quality, smooth grinding that will assure unmatched taste, your quest stops here as this amazing hand crank coffee mill is exactly what you need! 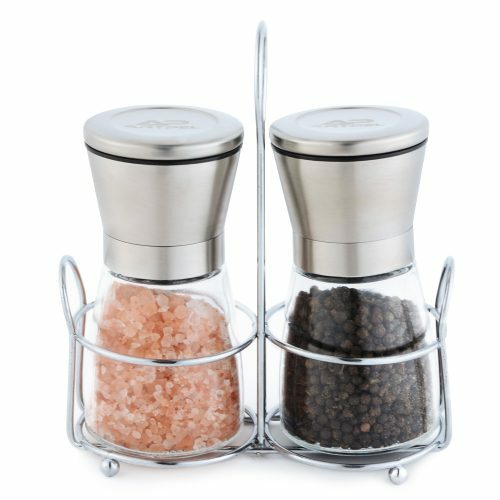 Serve Richly Flavored Dishes And Impress All Your Guests Thanks To The Ultimate Salt And Pepper Grinder Set! If you are a kitchen enthusiast you are well aware of the fact that spices can utterly transform a dish’s taste, intensifying the flavors and making every bite incomparably delicious. If you want to take your cooking skills to the next level and serve mouth-watering meals that will have everyone’s taste buds tingling, you have come to the right place! This amazing salt and pepper shakers set is exactly what you have been looking for! Wine Saver Vacuum Pump is made from stainless steel material which is more strong and better quality than other types of wine savers. Since you opened a bottle of wine all that oxygen left inside the bottle caused your delicious wine to oxidize and become dull. By using this wine saver vacuum pump, you can remove all the air from the bottle, keeping the wine fresh. Happiness Is An Aromatic Glass Of Wine! Is there anything better than relaxing with a heavenly glass of wine at the end of an exhausting day? However, wine loses its rich flavour if not consumed shortly after opening the bottle, ending up flavorless, flat, oxidized. If you are tired of wasting your money on half-full bottles of your expensive wine, we have the answer!